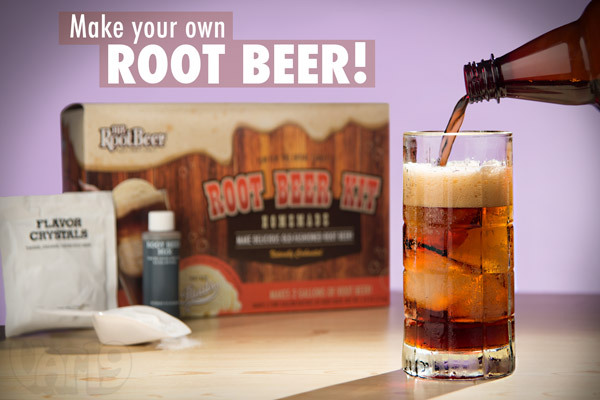 Enjoy the smooth and creamy taste of old-fashioned homemade root beer with the Mr. Root Beer Kit. With a bit of sugar and the contents of the kit, you can craft two gallons of delicious root beer. 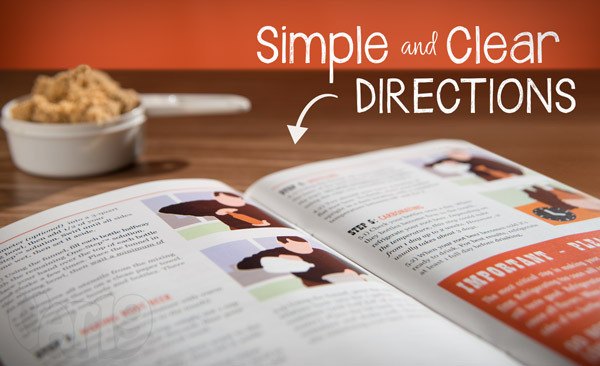 Simple, yet detailed instructions combined with high-quality ingredients and utensils ensure an error-free home-brewing process. Made in the USA. Refill kits available. Brew your own delicious root beer! Any time you can make food or drink yourself, it always seems to taste better. So, be prepared for some of the greatest tasting root beer you've ever had with the Mr. Root Beer homemade old-fashioned root beer kit! 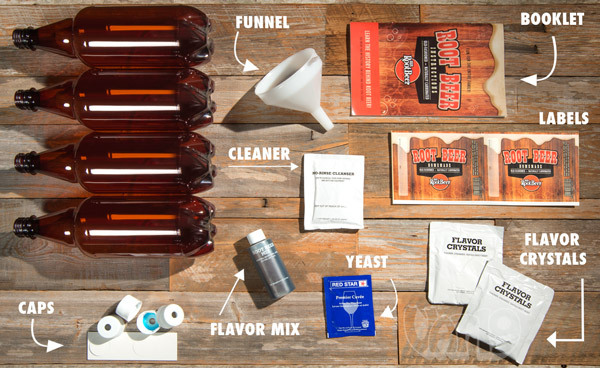 Create your own old-fashioned root beer with the Mr. Root Beer Kit. Mr. Root Beer (his given name) has a pretty singular focus: root beer. This guy knows what makes a great-tasting, smooth, and creamy root beer, and he's packaged those ingredients into an easy-to-use home brewing kit. The kit includes supplies to make two gallons (over 7 liters) of old-fashioned root beer. 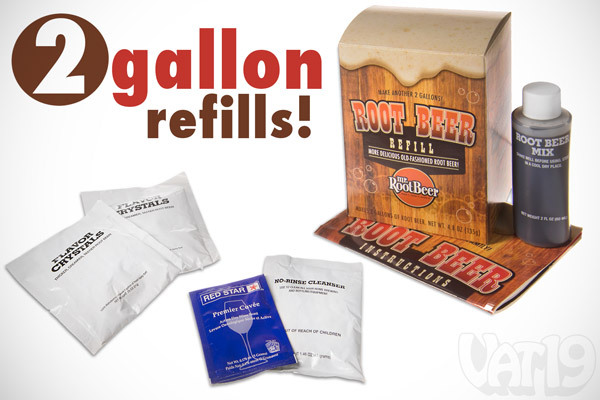 The Mr. Root Beer Kit includes the supplies to create two gallons (7.57 L) of root beer. At Vat19.com, we're guilty of trying many a home brewing kit (usually of the alcoholic variety) and failing miserably. Fermentation can be a tricky process! However, we found the Mr. Root Beer Kit to be about as fool-proof as possible. The instructions are simple, clear, and thoroughly explained. In fact, the entire process (including illustrations) fits onto three small pages. 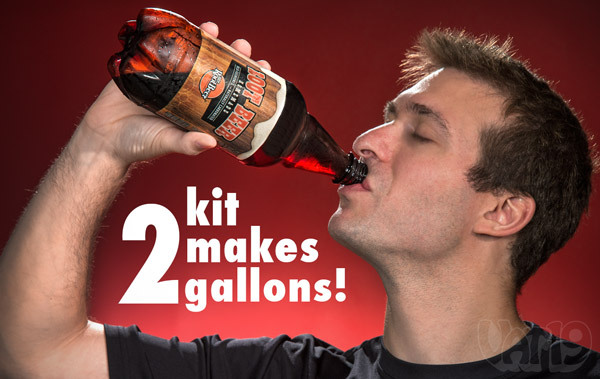 We love the simple, easy-to-follow instructions of the Mr. Root Beer Kit. 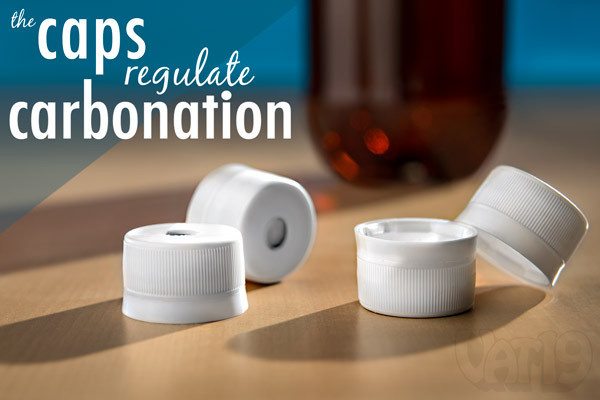 The process of carbonation creates pressure inside of the bottle. Without a pressure valve, it's quite possible for your container to explode (which is why dropping Mentos into 2L bottles is so fun). However, it's not so fun when explosions happen inside your pantry (or other dark, room temperature place you choose for the carbonation of your tasty root beer). Thankfully, the Mr. Root Beer Kit includes caps with a release valve to prevent such mishaps. Fear not the exploded root beer bottle! Special caps are included to prevent over-pressurization. 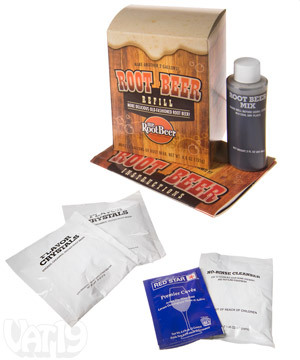 The Mr. Root Beer Kit comes with virtually everything you need to craft your own homemade root beer. All you need to provide is white granulated sugar and dark brown sugar. Armed with your sugar and the Mr. Root Beer Kit, you can create two gallons of deliciously smooth and creamy root beer. 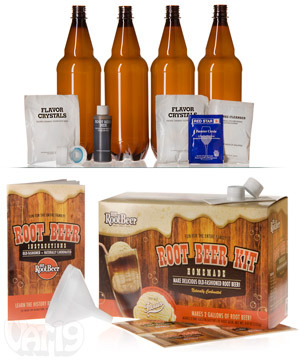 The Mr. Root Beer Kit includes nearly everything you need to brew your own root beer. After you've downed a few gallons of Mr. Root Beer's delicious recipe, you're going to want to make more. And we've got you covered! Two-gallon refill kits are available here for purchase. Need more delicious root beer? Pick up a refill kit! Answer: Oh heck yeah! If you love root beer, you will love this blend. It's very smooth, very full-flavored, and very rich. It's delicious. Question: What does naturally carbonated mean? Answer: Store-bought sodas are typically force carbonated and loaded with chemical additives to create huge amounts of foam. Mr. Root Beer doesn't produce as much fizz because it is naturally carbonated. This produces a smoother and creamier-tasting root beer. Answer: Water, Maltodextrins, Natural and Imitation Flavors, Caramel Color, Gum Acacia, Citric Acid, Ascorbic Acid, Natural Quillaia Extract and Yeast. Preserved with sorbic acid and sodium benzoate. Question: Is Mr. Root Beer caffeinated? What about gluten? Answer: Mr. Root Beer is caffeine-free. It's also gluten-free. Question: How long does it take to make the root beer? Answer: Depending on the temperature, the carbonation phase of brewing could take 1 day up to 2 weeks. However, it usually takes about 3 days. After that, it's simply a matter of refrigerating for about 24 hours before you can enjoy your tasty brew. Question: You mentioned fermentation. Is Mr. Root Beer alcoholic? Answer: Yeast is used to create carbonation. One by-product of yeast is alcohol. However, very little is created when using the Mr. Root Beer Kit and cannot be tasted. The ABV is about 1%.